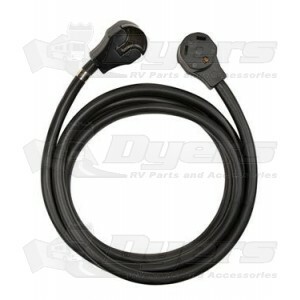 25' 30 Amp RV Extension Cord for Use in Campgrounds, Motor Parks and Recreational Areas. Male Plug on one end, receptacle plug at the other end. Jacket Made From Durable PVC. Appears to be quality made and will do the job nicely when needed.